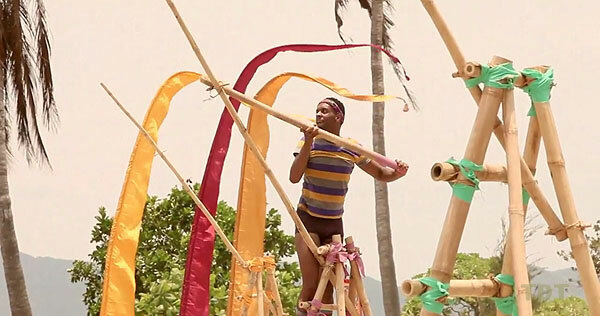 Survivor 28: Cagayan (2014) - 16th place, 3rd out. Voted out in Episode 3, "Cops-R-Us" (Day 8). Cagayan Ep. 1 RC/IC: "Draggin' the Dragon" - Helps collect the keys, and Solana wins (1st/3). Cagayan Ep. 2 RC/IC: "Phish Farm" - Sits out, as LJ overcomes a huge deficit on the puzzle, to bring Beauty a second-place finish (2nd/3). Cagayan Ep. 3 RC/IC: "Mazed and Confused" - Part of the water-tossing chain for Solana, which loses on the maze (3rd/3). Cagayan, Ep. 3: Two votes, from Alexis and Jefra (voted out 2-2-2, and 3-0-0 on the revote). Morgan made some good decisions for us! Dot dot dot, Hmmm, Alexis? Gordon Holmes at XfinityTV.com (3/6/14): "Brice: 'They Can No Longer Call it the Beauty Tribe'"
Rob Cesternino at RHAP (3/6/14): "Talking with the Latest Survivor Voted Off - 3/06/14"
Liz Raftery at TVGuide.com (3/6/14): "Brice Johnston on His Beauty Tribe Mates: 'They Are Pointless'"
Daniel Fienberg at HitFix.com (3/8/14): "Brice Johnston talks Survivor: Cagayan"
"Personal Claim to Fame: Being the only person from my immediate family to graduate college. Inspiration in Life: My mother who is a single parent of four and worked two jobs at a time to ensure her children had everything they need and more. There isn’t anything in the world my mom wouldn’t do for her children. Hobbies: Watching reality TV, listening to music, going out to social events and hanging out with loved ones and friends. Pet Peeves: Bad breath and an insecure person. 3 Words to Describe You: Competitive, funny and goal-oriented. If You Could Have 3 Things on The Island What Would They Be and Why? Body spray—I’m obsessed with smelling good; lip balm—I wouldn’t want my big lips to get crusty and pictures of my family to remind me why I’m going so hard to win Survivor. Survivor Contestant You Are Most Like: Cirie, Colton and Ozzy. 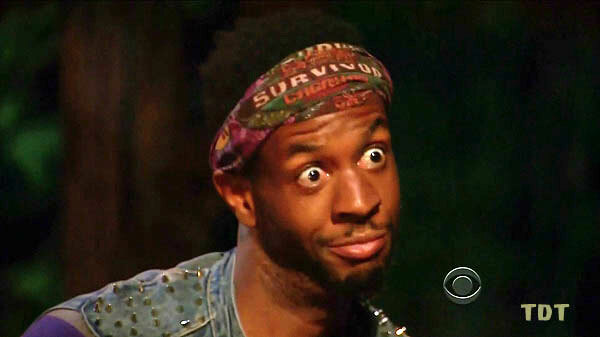 Why You Think You’ll “Survive” Survivor: I have the ability to read people so I’ll know if I can trust them after only a couple minutes of meeting them, and how to also be fake with people I don’t like. I can be very shady if I need to be! Why You Think You Will Be the Sole Survivor: Everyone who meets me loves me! I’m a very loyal person and I keep my word. However, I can turn into a person eating b*tch that will play you before you can play me. Do You Consider Yourself a Brain, a Beauty or a Brawn? I would consider myself the package deal. I’m very easy on the eyes (beauty). I’m college educated, have common sense, am very socially aware and have street smarts (brains). Plus, I consider myself to be physically fit; I’m a natural born runner (brawn). So I’m a three for one kind of deal. Who Do You Think Has the Best Chance in the Game of Survivor: Brains, Beauty or Brawn? I think someone with the package deal like myself that encompasses brains, beauty and brawn. So basically, I have the best chance at winning the million dollars."